Boating is way more than a fun way to experience nature and the rivers and lakes. There are all sorts of ways to have fun boating. Think outside the boating box and research new ways to enjoy the water. Of course, pontoon boating is a lot of fun. However, when you have your family and friends along for the ride, the pleasure gets massive! 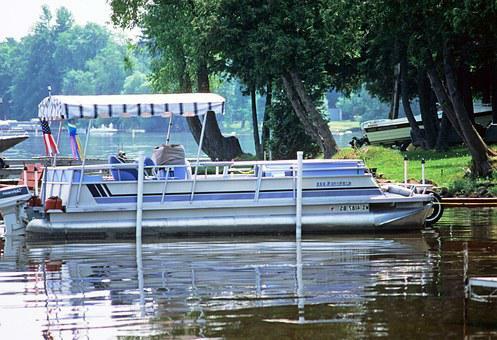 If you have a pontoon boat, this is a excellent chance to throw a party afloat and allow your loved ones and friends enjoy boating as much as you do. Even if you own a speedboat, your friends and family will have plenty of fun taking turns as they enjoy water sports such as skiing and tubing. A significant aspect of boating is doing so in a responsible way. If you’re skippering your vessel, avoid alcoholic drinks. It can impair your judgment and can result in an accident. Boating fun can be easily found when you enjoy your time on the lakes and rivers along with your family. Always maintain Pest Removal, a positive attitude and teach those around you what you are doing. Point out interesting sites on your boating adventure. Keep the atmosphere jolly with boating trivia or nautical songs. Part of the pleasure in angling is watching the scenery as you glide over the water. Don’t let that pass you by. Take the time to enjoy the view as character passes you by. See the colour of the trees, look closely at the wildlife you may see, enjoy the pleasure of sights you don’t typically see. It may sound a little hokey, but we think you will find that noticing nature is certainly a big part of boating enjoyment. In fact, many boat owners would not think of setting out on a boating adventure without having a float tube or a fishing rod on board. Find the joy in these types of actions and fully embrace that joy. That can be very satisfying as you watch others with smiles on their faces. Having fun on any boat is easy. Boating is an activity which should take you away from the stress of everyday life. So sit back, relax a bit, laugh a whole lot, and experience fun like you’ve never known; all while boating!